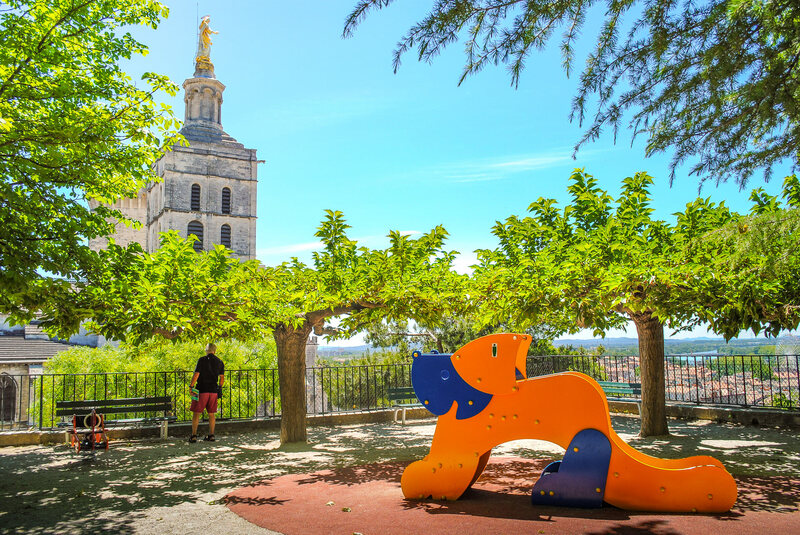 What to do in Avignon? 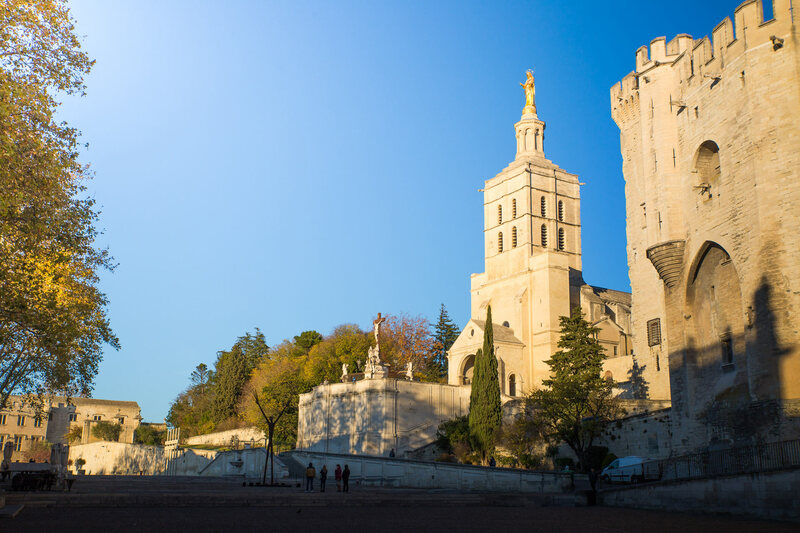 What to do and see around Avignon? How to get to Avignon? Visit Avignon , in the South of France, is to discover the fabulous City of the Popes and the famous Pont d’Avignon, but also many other places of interest, some of which are listed on the World Heritage List. UNESCO . Due to its location in the heart of Provence, Avignon is a city very popular with tourists and the perfect getaway to enjoy a sunny weekend with friends or couples! 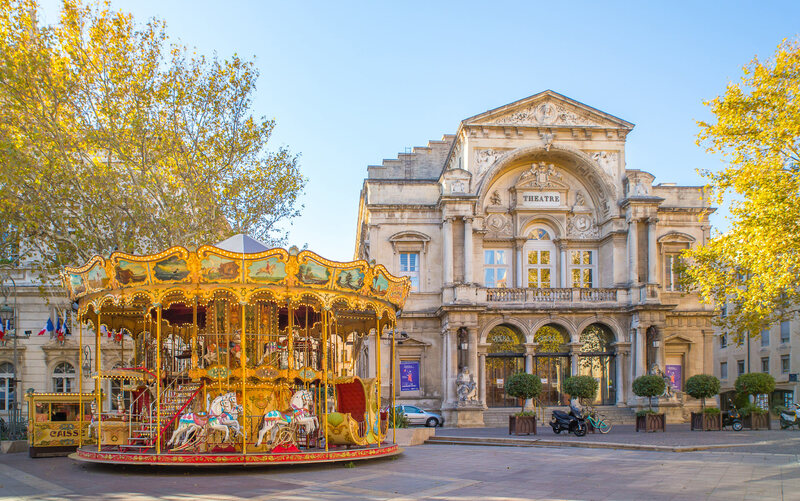 In order to help you prepare your stay in the city , I have concocted the list of the 10 best things to do and see in Avignon . I also give you ideas of itineraries to visit Avignon in 1 or 2 days and, at the end of the article, the best accommodations in the city. So, what to do in Avignon? The palace of the Popes of Avignon is the emblematic place of interest of the city. This is the main historical monument of Avignon , the most touristy and, given its size, it is impossible to miss it! It is one of the 10 most visited monuments in France. As its name indicates, the palace of the Popes, served as residence for the sovereign pontiffs throughout the XIV century. No less than 9 popes have succeeded and helped make the building a gigantic fortress and a sumptuous palace, in less than 20 years. It is today the largest gothic palace of the West. This is the only period in history where the popes left Rome , Italy , to settle elsewhere. I was particularly impressed when I saw his outdoor speaker. The building is really huge and makes you aware of all the spiritual power and power of Christendom at the time. I highly recommend you take the time to visit the interior of the Papal Palace . 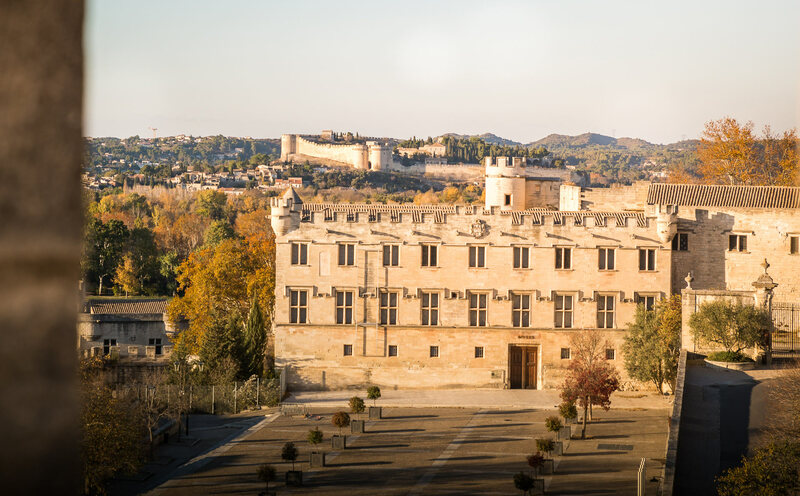 You can discover more than 25 rooms including the ceremonial ceremonial halls or to host gigantic feasts, the private apartments of the popes, the chapels and terraces and external ramparts offering an exceptional panorama of Avignon . The frescoes of chapels and apartments are really worth seeing. I loved visiting the Palais des Papes because it is very fun. When you buy your ticket, you will be given an audio guide to get all the explanations but also an interactive tablet for a multimedia tour. With your tablet, you can explore different parts in 3D . Relive all the splendor of the time and immerse yourself totally in the atmosphere of the pontifical court thanks to the reconstructions of the rooms and decorations. The experience is really great . I had never experienced this system and loved it. 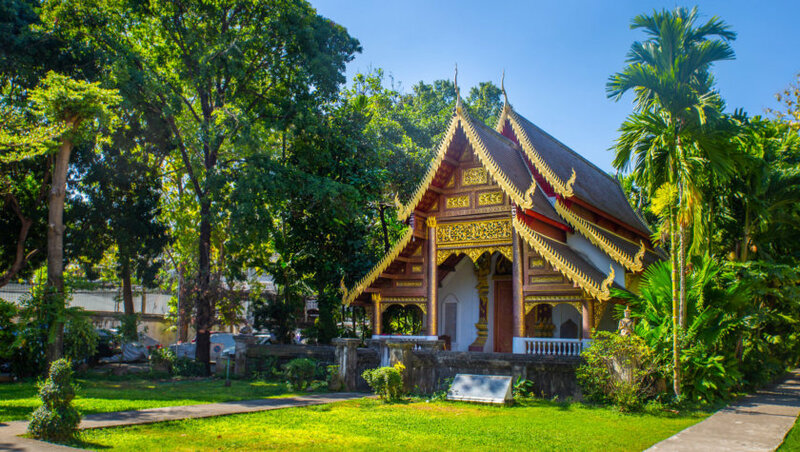 It totally dusted off the concept of a classic visit that can be a little boring in the long run and it can reach a wider population and children. Information to organize your visit can be found on the official website. 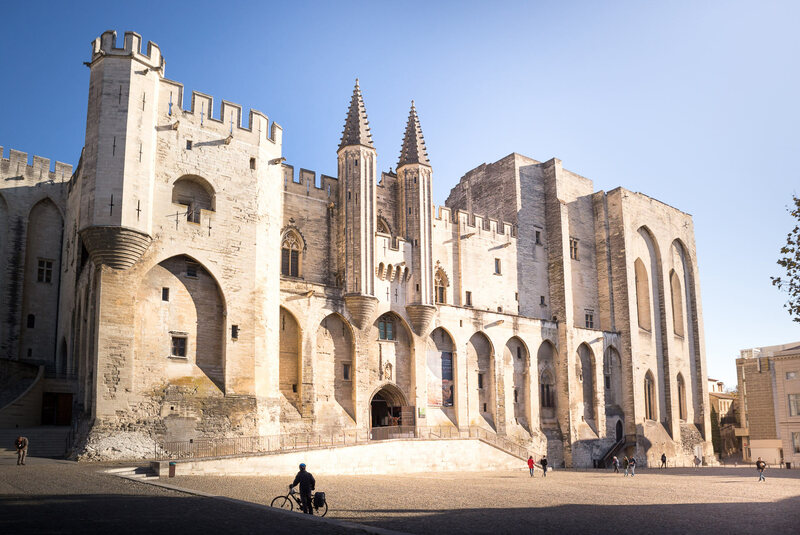 To visit the Palais des Papes, opt for a group ticket with the visit of the Pont d’Avignon. Avoid the queues and buy it directly here in advance. The impressive Palace of the Popes of Avignon, a place to see absolutely! Another must-see tourist attraction: the Avignon bridge . Impossible that you have not heard at least once in your life, the famous song dedicated to this historic monument and known throughout the world: “on the bridge of Avignon, we dance, we dance .. On the bridge of Avignon, we dance in circles! That’s it now you’ll have it in your head all day. The construction of the bridge of Avignon, or Pont Saint Bénezet of its real name, began in XII ème century. Several times damaged and rebuilt during the floods of the Rhone, the last reconstruction dates from the seventeenth century. This explains, that on the 22 original arches, there remains only 4 today. The construction of the bridge is linked to the legend of Saint Bénezet . Descended from his mountains and saying that he was sent by God, a young shepherd by the name of Bénezet, wanted to build a bridge . Mocked by the inhabitants, the prelate challenged him to carry a huge stone on his back and throw it into the Rhone to start the construction himself. No one thought he would succeed in this feat but, helped by divine intervention , he managed to lift the stone and throw it away. The building was spread over several centuries and in its great splendor, the bridge stretched about 900 meters and had 22 arches . Its function was to control the river traffic . A chapel with the relics of Saint Bénezet was arranged in the middle. 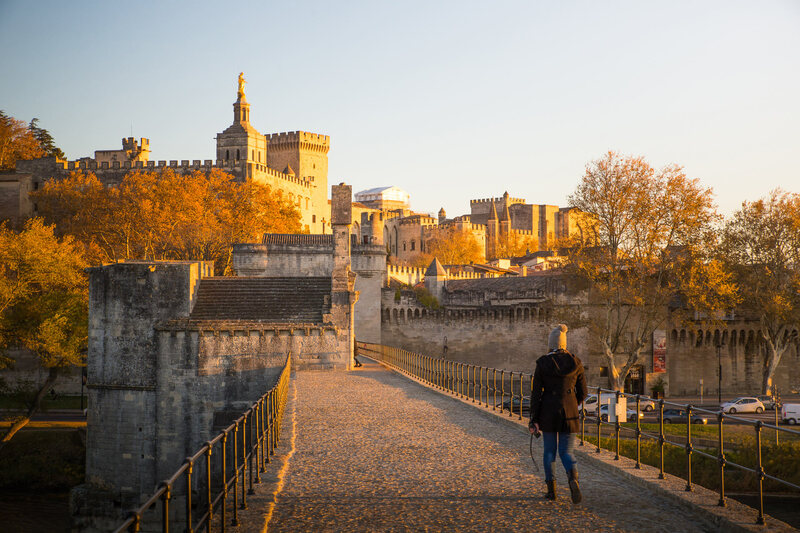 Today, the stroll on the bridge of Avignon allows to admire a beautiful panorama on the palace of the Popes, the ramparts, the small Palace or Fort Saint André. You can also discover the history of the bridgethrough a film and a small exhibition. The timetable and access information can be found on the official website . Have you ever danced on the Avignon bridge? Notre-Dame Cathedral of Doms d’Avignon is located right next to the Palais des Papes. Built in the 12th century , it was then enlarged in the 15th and 17th century. And it has undergone 2 years of renovation recently to reopen in 2016. Dominating the Rhone Valley from the Rocher des Doms, the cathedral is famous for its bell tower on top of which sits a golden Virgin . It skilfully mixes Romanesque, Gothic and Baroque architecture . Inside, the cathedral houses the chapels and tombs of popes John XII and Benedict XII , very rich in ornaments. 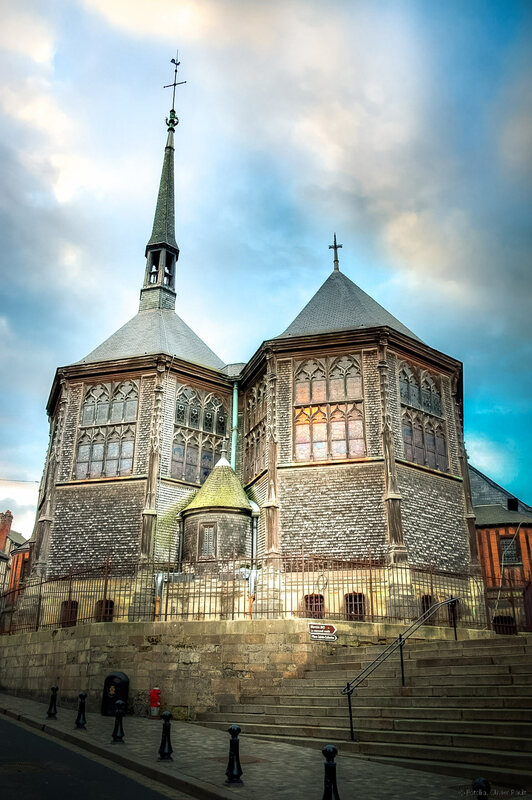 You can also admire beautiful stained glass windows and sumptuous frescoes and paintings. It is a religious building to discover absolutely in addition to the visit of the palace of the Popes. Next to the cathedral is the Jardin des Doms , the green area and the most famous public garden in Avignon. 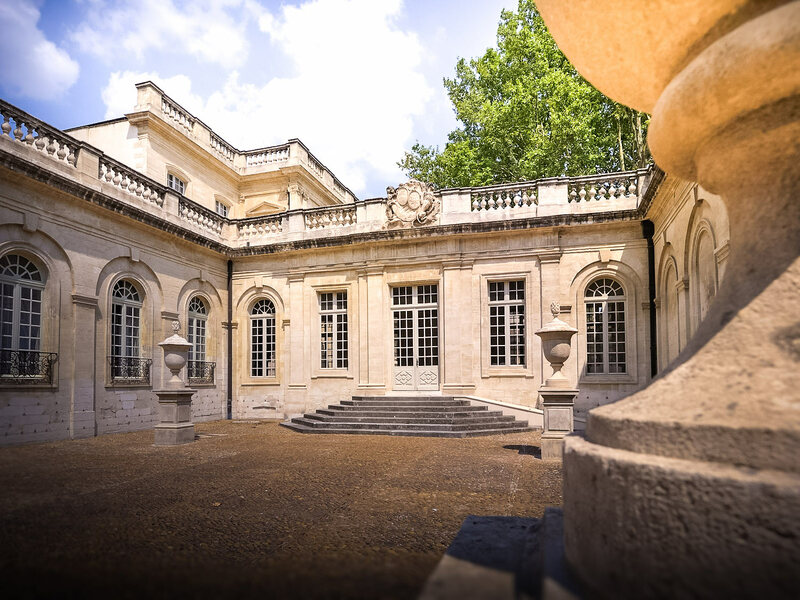 With its landscaped paths, statues of the great men of Avignon and its fountains , the garden is the ideal place to walk in the cool, quiet and in the shade. Perched on the rock of the Doms , it offers in addition an exceptional view over the Rhone Valley, the castle of Villeneuve Lez Avignon, the bridge Saint-Bénezet, the old town of Avignon and even on the Mont Ventoux. In the garden you will also find a café for a quiet drink on the terrace and enjoy the view. And children will be happy to enjoy the playground and carousel. The access to the garden is done either by the place of the palace of the Popes , by the stairs Sainte-Anneor by the paths of the edge of the Rhone . And if you opt for a visit by small tourist train, you will also spend there. At the foot of the rock Doms, you can take the shuttle river to cross the Rhone and arrive on the island of Barthelasse . 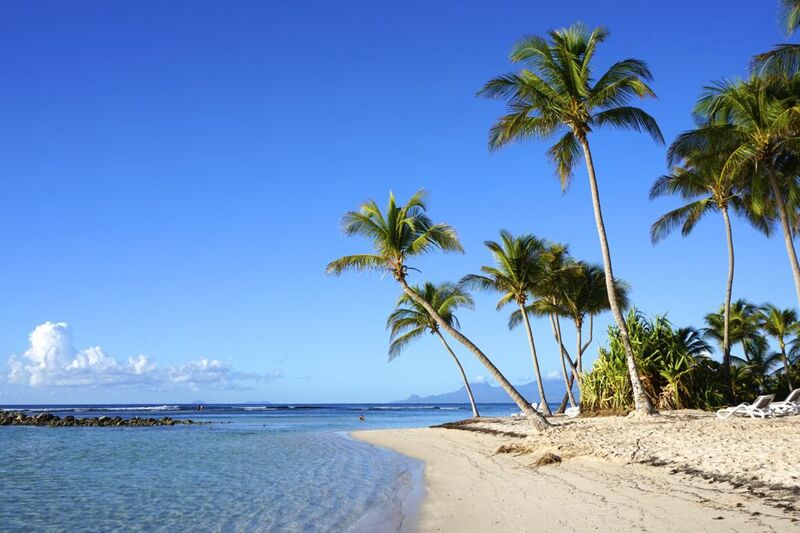 The island is also very popular for strolling and enjoying the coolness . From there you will also have a beautiful panorama of the bridge of Avignon and the city of the popes . During your stay in Avignon, I recommend you to visit the Petit-Palais museum. The museum is located in the square of the Popes ‘Palace, in the former Archbishops’ Palace . It houses a very rare collection of Italian and Provencal paintings from the 12th to the 16th century. Also to see in the museum, the many Romanesque and Gothic sculptures , artists Avignonnais. The museum is open every day except Tuesday and entry costs € 6. If you want more information, check out the official website. Another museum to visit during your weekend in Avignon: the museum Calvet, also called the Museum of Fine Arts and Archeology of Avignon. The museum is located in a beautiful mansion of the eighteenth century, classified as historical monuments. He is interested in archeology, ethnography and the fine arts. It should be noted that the Greek and Roman archaeological collection of the Calvet Foundation is housed in another building. This second museum is called the “Lapidary Museum” but is part of the Calvet Museum. To visit it, official information is here. To visit the Calvet museum, I advise you to take a look at the official website . If you wish, you can buy a combined ticket for both museums and thus make a small economy. Although most of the iconic monuments and tourist attractions are concentrated around the Palace of the Popes and Palace Square, I also recommend you to explore and venture further into the historic center of Avignon. You can stroll and wander around the streets and the pedestrian area to enjoy all the charm of the city. 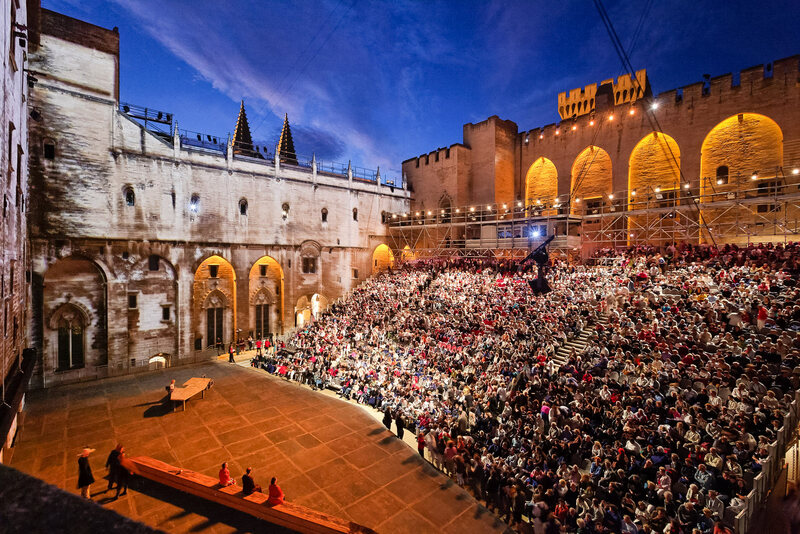 The Avignon Festival takes place every year, in the month of July . It is one of the most important cultural, theater and contemporary entertainment events in the world. It was founded in 1947 , with the aim of reaching a wider audience and especially younger and to revitalize the French theater. Today it is a real success. The city welcomes every year, thousands of tourists come just for that. 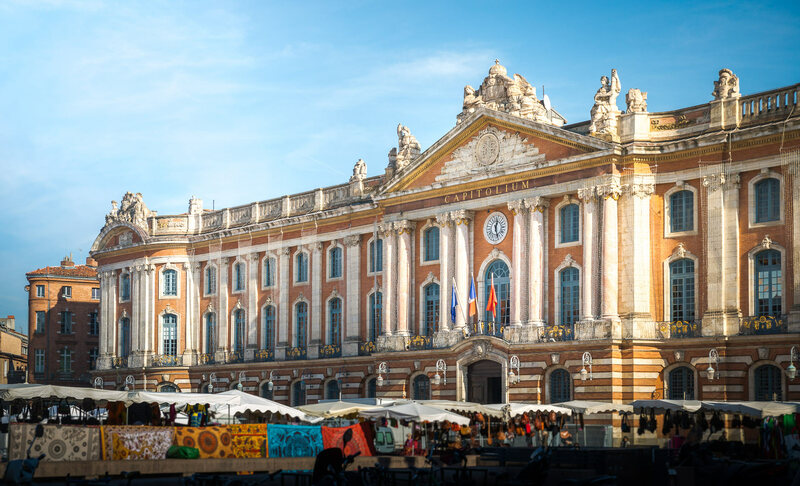 More than 50 different shows (French or foreign) are presented throughout the month of July: theatrical performances, dance shows, exhibitions , reading sessions, music concert, you will be spoiled for choice. Shows or performances take place in different places of Avignon such as the courtyard of the Popes’ Palace , the house Jean Vilar (founder of the Avignon Festival), in the courtyard of the museum Calvet but also in the street, the gardens or cloisters of the churches of Avignon. To consult this year’s programming, to make your choice among all the shows and to reserve your tickets, it is on the official site of the festival that it happens. You have decided to visit Avignon, perfect, but you know, not far from there, there are also things to do and see around Avignon. It would be a shame not to enjoy your stay in Provence to discover! 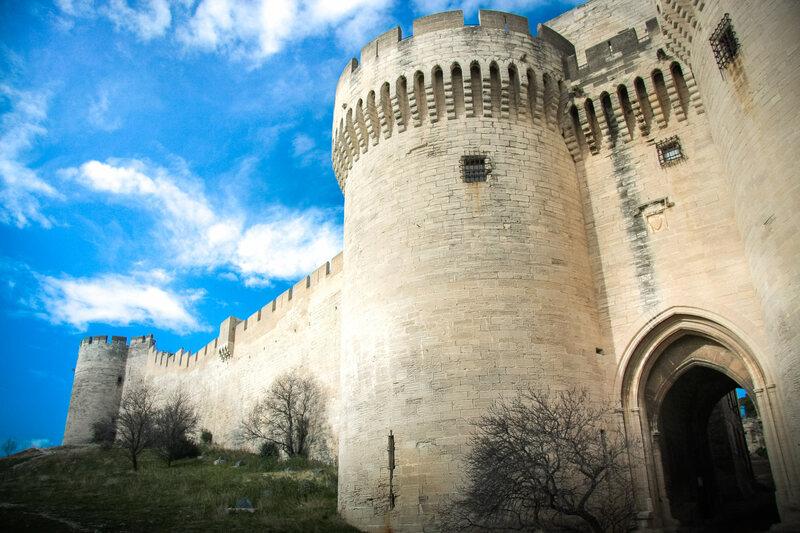 Just opposite the island of Barthelasse, the bridge of Avignon and the city of the Popes, I recommend you visit Fort Saint-André. Built in the fourteenth century, the Fort protected the Kingdom of France from possible enemy attacks. A garrison was stationed there permanently and it also served as court of justice and prison. Today, it is a perfect model of medieval military architecture. Above all, it offers a superb panoramic view of the city of Avignon and the Rhone Valley. The Fort Saint-André is located in Villeneuve Lez Avignons , a small town on the other side of the Rhone compared to Avignon. the Chartreuse: a medieval monastery classified as historical monuments. Do not miss the chapel and its frescoes painted by Giovannetti. 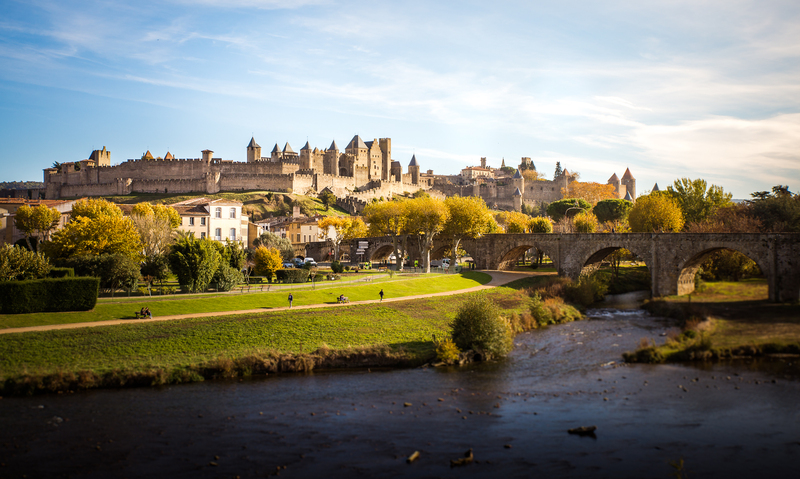 With its 3 cloisters and gardens, it is one of the largest in France. the gardens of Saint-André Abbey: classified “Remarkable Gardens”. Browse the flowerbeds, the olive grove, admire the view of the palace of the popes from the terraces and enjoy the calm. Find practical information to visit the Fort on the official website. To visit Fort Saint-André, the Chartreuse and Saint-André Abbey, opt for a combined ticket . Another activity to do around Avignon , visit the Pont du Gard ! From Avignon, it takes about 30 minutes by car to reach it. Arriving by car, you will not really have any choice but to park in the official car park . You will have to go through the reception to collect your entrance ticket. a Discovery pass at 8.50 € , it will allow you to walk freely. It is the cheaper. a heritage pass at 15.50 €, where you will be accompanied by a guide throughout the visit. Here too, you will have access to the 3rd floor. 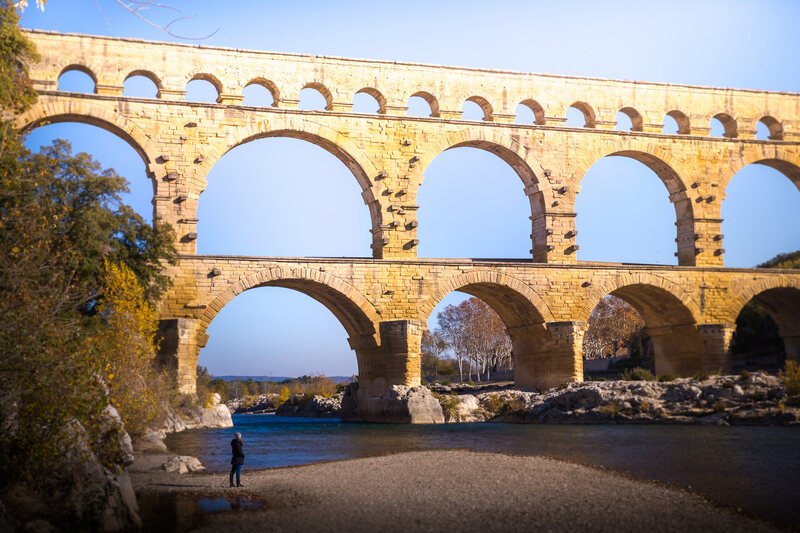 With your pass, you can then discover the famous Pont du Gard. 2,000 years old and listed as a UNESCO World Heritage Site , this imposing vestige is a perfect testimony to the talent of the Roman engineers of the time! They managed to build it in just 5 short years, a real feat! The main function of the bridge was to supply the town of Nîmes with water and snake between the hills. The bridge is extremely well preserved and really impressive. Even having seen several pictures before the visit, I did not imagine it as impressive! It is a perfect place to make beautiful pictures. To prepare your visit, do not hesitate to go through the official website. To avoid paying an entrance pass and if you do not mind walking a little, park at Saint-Bonnet du Gard, the Mairie or the Place de la Fontaine. From there, a marked trail will take you to the bridge. Access to the Pont du Gard is free for hikers, so you can make a small economy. Appart Hotel Sainte-Marthe: Located a fifteen minute walk from the Palais des Papes and the historic center. Fully equipped studio with kitchenette from 60 € per night, breakfast 9 €. Most: location, quiet, amenities, perfect for small budgets. Régina Boutique Hotel: Hotel located rue de la République. Double room design and comfortable from 85 € per night, breakfast 9.50 €. Most: the central location, the excellent breakfast with regional products, the layout of the rooms, the friendly welcome. It’s our heart stroke for its benefit / price ratio! Central Hotel: Located 10 minutes walk from the Palace of the Popes. Comfortable and spacious double room from 160 € per night, breakfast included. Most: location, friendly and smiling staff, comfortable bedding, good breakfast. Hôtel d’Europe: 5 * hotel located just 5 minutes walk from the Palais des Papes and Pont d’Avignon. Elegant double room, spacious and comfortable from 225 € per night, breakfast 22 €. The most: the atmosphere, the decor, the location, the staff to care. This is our recommendation for a luxury stay in Avignon! Neck and neck: Located rue de la Saraillerie. Homemade dishes made from fresh products. Simple and tasty cuisine. Smiling and pleasant staff. Good value for money. Tip: the room is small, better be early. Vezzo Pizza: Located rue Guillaume Puy. Many choices of pizzas made from fresh products. The pizzas are excellent and very plentiful, all for a price more than reasonable. Good extra point: the desserts are also very good. The room is not very big but the restaurant also makes deliveries, convenient! The Clover bistro: Located rue Marcel Demonque. Delicious dishes, tasty and well presented. Original desserts and quality. Home nice and smiling. Often full lunch, remember to book. By plane, the two closest airports are Nîmes and Marseille. And you ? What do you plan to see in Avignon?